I grew up in Baton Rouge and New Orleans, Louisiana and graduated from Yale University in 2002. I’m a contributing writer for Fast Company magazine and its website Co.exist. In 2005, when I was 24, the Village Voice did the huge favor of submitting me for a Pulitzer Prize for the feature series and column Generation Debt, which led to a book published by Riverhead in 2006. Generation Debt argued young people are facing unique and unprecedented economic challenges. This point of view has, well, gained credence over the years. 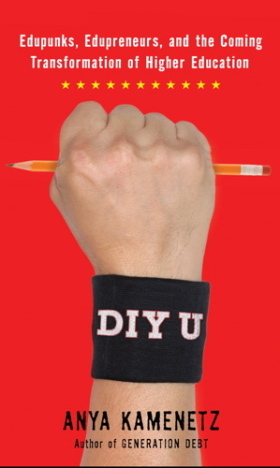 DIY U, my second book, succeeded beyond my wildest dreams in terms of starting conversations about the future of education. In 2011 I published two short free ebook follow-ups: The Edupunks’ Guide, a hands-on guidebook for independent learners sponsored by the Gates Foundation, and Learning, Freedom, and the Web, a look at open education innovators in collaboration with the Mozilla Foundation. I’ve appeared in several documentaries including the “Generation Next” series on PBS and Default: The Student Loan Documentary; on media outlets including CNN’s Larry King Live, ABC’s The View and NPR’s All Things Considered; been featured as a “Yahoo! Finance Expert”; and submitted testimony to Congressional committees and state legislatures about student debt and college affordability. I was named a “Game Changer” in education by the Huffington Post, wherein Arianna mispronounced my name as only she can; I’ve also won two awards from the Education Writers Association, been named a fellow of the Hybrid Reality Institute, and featured on the BigThink website. I write a nationally syndicated personal finance column for Tribune Media. I’ve written for lots of other places too like the New York Times, the Washington Post, New York magazine, Slate, Salon, the American Prospect, and the Nation. I contributed an essay, “Mutual Aid Revisited,” about my experiences with Hurricane Katrina and the power of community, to the anthology Toward 2012: Perspectives on the Next Age (Tarcher, 2008). With a growing awareness that we’re living in a time of profound change, I feel blessed to be engaged in this work of envisioning the future, connecting with others who are excited about change, and telling stories about the possibilities. I speak across the country, I blog at Fastcompany.com, the Huffington Post, and right here, and–I Tweet, yes I do, at Anya1anya. I live in Brooklyn with my husband and daughter. Anya Kamenetz is a contributing writer at Fast Company Magazine and the author of several books and book chapters about the future of education. In 2011, Learning, Freedom and the Web (http://learningfreedomandtheweb.org/) and The Edupunks’ Guide (edupunksguide.org) were published as free ebooks by the Mozilla and Gates Foundation respectively. Generation Debt (Riverhead, 2006), dealt with youth economics and politics; DIY U: Edupunks, Edupreneurs, and the Coming Transformation of Higher Education, (Chelsea Green, 2010) investigated innovations to address the crises in cost, access, and quality in higher education. 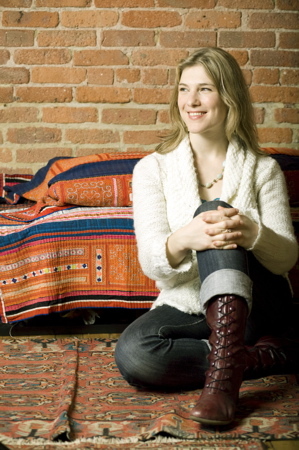 She was named a 2010 Game Changer in Education by the Huffington Post, received 2009 and 2010 National Awards for Education Reporting from the Education Writers Association, and was nominated for a Pulitzer Prize in Feature Writing by the Village Voice in 2005.